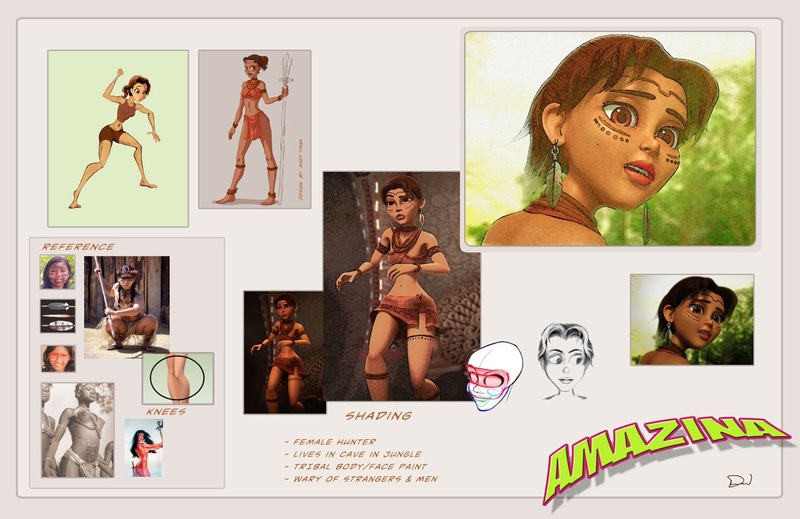 While directing the Flying With Byrd series, I was given the opportunity to adapt a design from one of my own projects to the “Amazon Grace” episode. Xsey Tman helped, and I incorporated elements from both his design and mine into the final character. In this sheet I’ve also included some of the reference imagery used, and “look development” stages.